Koasati is a living language spoken by members of the Coushatta Tribe of Louisiana. Koasati has been spoken in the south for many centuries, but tribal members have only recently begun writing the language. The Koasati Digital Dictionary is our attempt to document areas of traditional knowledge: words for plants and animals, family terms, numbers, and ways of living. It ultimately seeks to pass that knowledge on to our children and grandchildren. Aliilamo (Thank you) for visiting this site and learning about our language. As you study the words, we hope you gain an appreciation of our history, our customs, and our relationship to the world around us. 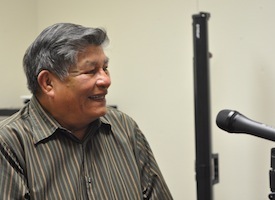 The Coushatta Tribe of Louisana Koasati Digital Dictionary is a collaborative effort between the Coushatta Tribe of Lousiana, McNeese State University, and the College of William and Mary. It was sponsored in part by a grant from a National Science Foundation Documenting Endangered Languages grant. 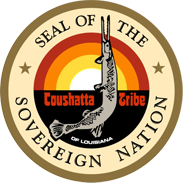 We are grateful to the Coushatta Tribal Council for their continued support and guidance.